Hyundai is calling the AH2 hatchback a a 'contemporary family car'. While the official name will be confirmed on early-October, we expect it to be the 2018 Hyundai Santro. The 2018 Hyundai Santro, codenamed AH2, has been in the offing for a while now, and the model will be the Korean automaker's all-new entry-level offering in the country. Hyundai India is yet to confirm the Santro moniker for the new model, and has in fact, asked customers and fans alike to suggest names for the new model. However, given the nostalgia and iconic positioning of the Santro brand, we do believe the AH2 will revive the small car brand for Hyundai in the country. The new name will be revealed in early October and will take on the Maruti Suzuki Alto and the Renault Kwid in the segment. 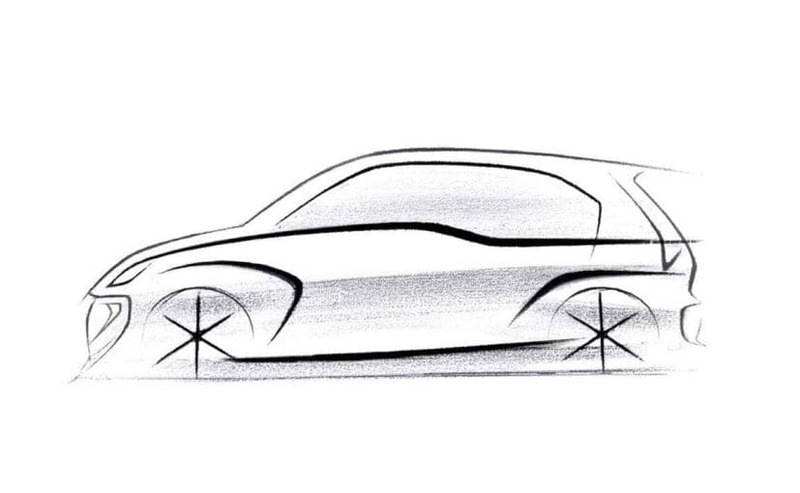 The carmaker recently teased the production version of the AH2 with the first official design sketch of the AH2 or the Hyundai Santro, to build a buzz ahead of its launch, which is slated for mid-October. 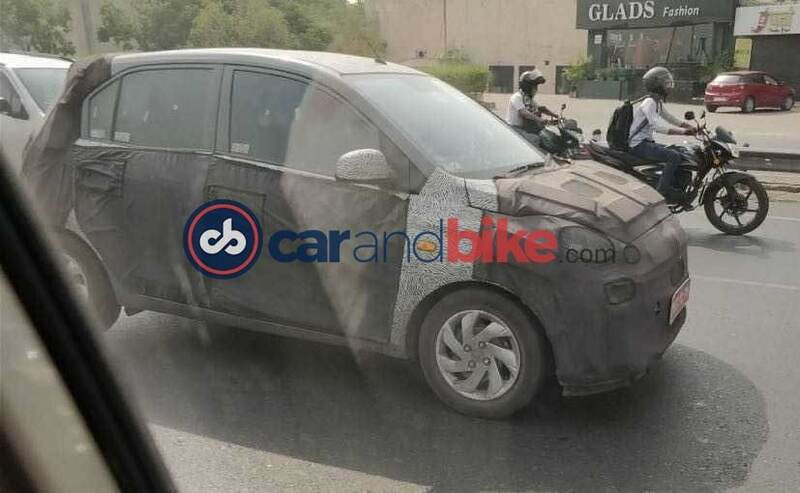 Based on the several test mules we have seen so far, and few key details revealed by the company we now know a fair bit about the upcoming 2018 Hyundai Santro, and we have listed them down here. Hyundai calls the new AH2 hatchback as a 'contemporary family car' and Y K Koo, MD & CEO of Hyundai Motor India had announced the company's plan to launch the car exactly a year ago in August 2017. The car will retain the Santro's tallboy stance. While the new car is expected to be named as the 'Santro', the company hasn't confirmed this yet. In fact, right now, Hyundai is running a running a marketing campaign for the new name, before officially announcing it. The Hyundai Santro or the AH2 will replace the Hyundai Eon as the company's entry-level car in its Indian line-up, and the car will go up against the likes of Tata Tiago, Renault Kwid, Maruti Suzuki Wagon R and even the Alto K10. Based on the several test mules of the 2018 Hyundai Santro we have seen so far, it has been indicated that the car will come with company's signature cascading grille, a pair of sweptback headlamps, larger taillamps, and high mounted stop lights. All the test mules that we have seen until now came only with steel wheels and silver hubcaps. This indicates that Hyundai might not offer alloy wheels with the AH2 hatchback. This could be a measure to keep the cost down considering it's an entry-level car. 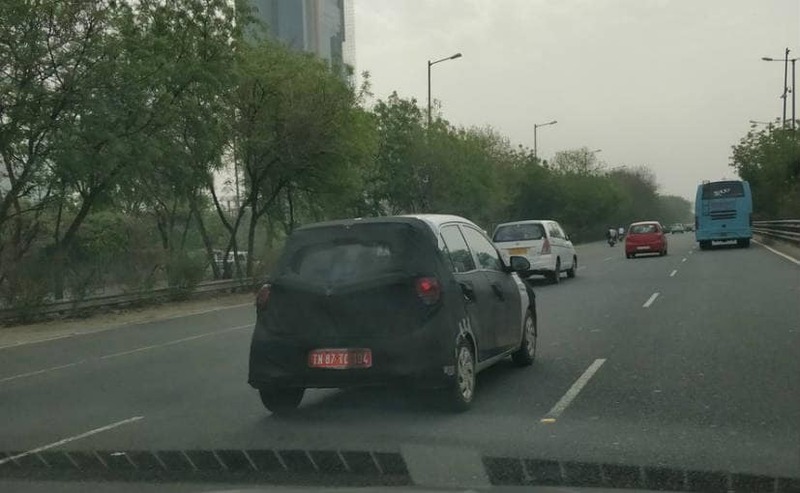 Based on some of the spy shots of the cabin, we know that the new Hyundai Santro AH2 will come with a two-tone beige and black interior trim. A similar colour treatment is expected for the fabric upholstery as well. Engine details are still unknown, but we expect the car to come with a 1.0-litre petrol engine, similar to its rival the Maruti Suzuki Alto K10, and Renault Kwid. Being an entry-level family car for the city, we also expect to see some good fuel efficiency figures. Hyundai has confirmed that the AH2 hatchback will come with an automated manual transmission (AMT) system, the first Hyundai car to get one. Along with it, the car is also likely to get a 5-speed manual gearbox.